The evening’s program, which began with a warm welcome by Middlesex County Freeholder Director Ron Rios and State Theatre’s Acting President & CEO Anna Marie Gewirtz, was one suitable for all ages. The audience, which included families from multiple generations, also included many veterans and active military. 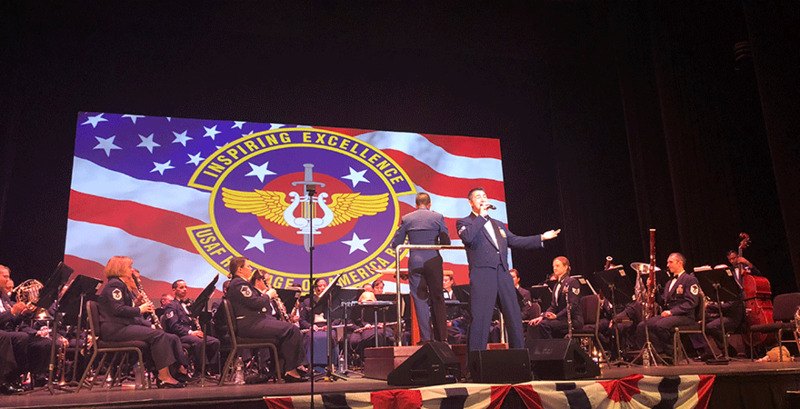 Commander and Conductor of USAF, Major Michael D. Hoerber (listen to our recent interview with Major Hoerber) asked for all veterans to stand and be recognized by the audience. It was an emotional moment as veterans from World War II, the Korean War, and the Vietnam War stood as the audience clapped, thanking them for their service. 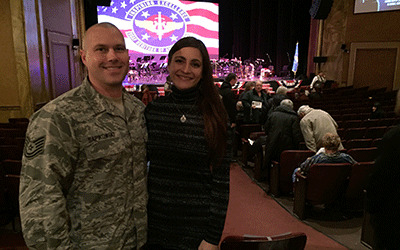 Assisting Major Hoerber with conducting duties was 2nd Lieutenant David Neil Regner, a 2010 graduate of Mason Gross School of the Arts at Rutgers University. It was truly a touching evening as guests left the theater whistling and still humming their favorite tunes of the night, with many extending their thanks for hosting this talented group of musicians. 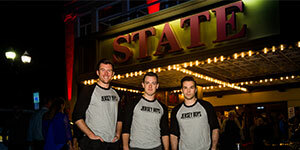 One guest was overheard saying "it was wonderful and so positive, we need more positive things like that in our lives." Thank you to Middlesex County and the Middlesex County Board of Chosen Freeholders for supporting this concert as well as our Veterans' Initiative. 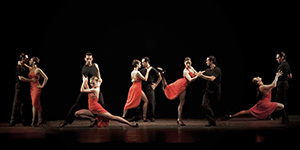 State Theatre New Jersey celebrates Hispanic Heritage Month with Tango Buenos Aires!